Dropbox is hoping to capitalize on the growing use of its file hosting service among businesses with a new product built from scratch that is designed to help companies improve workflow processes. The company on Wednesday announced Dropbox for Business, a paid service that provides Dropbox's bread-and-butter file hosting, but with a smorgasbord of additional features geared toward business users such as sharing restrictions and IT management controls, to help keep data safe. The service could put a kink in the efforts of companies such as Google and Amazon to offer enterprise-level file hosting. Amazon also on Wednesday announced its WorkSpaces product for desktop computing in the cloud. Dropbox's new service is designed to simplify how businesses usually share and transfer work files, by eliminating the need to resort to FTP (File Transfer Protocol), outside servers, and to also eliminate the security risks that come with USB thumb drives and email attachments. "We've thought about all the kinds of crazy things we do that hopefully in the future we won't have to worry about," Dropbox CEO Drew Houston said during the product's unveiling at the company headquarters in San Francisco. Dropbox for Business is currently in beta mode and is being used by a range of businesses. It will launch worldwide in January. Pricing will start at US$795 a year. Usage of Dropbox among companies has quadrupled in recent years. In 2011 there were 1 million businesses using Dropbox, while last year the number climbed to 2 million, and this year there are 4 million, he said. But businesses still represent just a tiny slice of the company's total users. Dropbox, which was founded in 2007, has over 200 million users, Houston said. 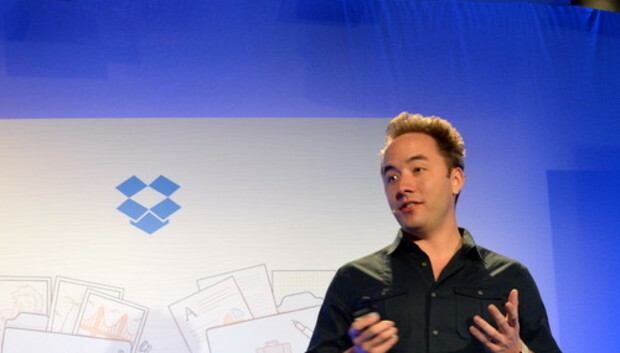 Dropbox for Business is an ambitious undertaking for the company. It is a completely rebuilt version of the regular Dropbox service, Houston said, whose development was made easier by the fact that Dropbox has tripled its product development team since last year. "We've been hiring all these smart people, so we let them rip on it," he said. The product is designed to take the headaches out of how companies manage their files among employees, and reduce the constant switching between personal and work accounts on people's computers, Houston said. But the service is actually quite complex, with a lot going on under the hood. The new features include remote wiping of data, account transfer options for when an employee leaves the company, and new desktop and mobile apps. With the service, an employee can pair a Dropbox work account with a personal account, but can still decide where to put files. Employees using a Dropbox work account may only be able to share files with certain people at the company if that's how the account administrator set it up. Account administrators have a number of controls to manage data. One new administrator feature is a tool called "Sharing Audit Logs," which lets the person see a complete log of all the sharing activity around certain files within the company's Dropbox account. Dropbox for Business is designed to keep data safe so that it doesn't fall into the wrong hands, and to keep data separate between personal and work accounts. So, even though an employee is able to switch between accounts, only that person can access their personal account. But both the user and the employer can access a work account. Some of the product's first users include Kayak, National Geographic and the fashion company BCBG Max Azria Group. Nader Karimi , chief information officer at BCBG, said that one thing he worried about was security, and whether it was possible to disable accounts of employees who leave the company so they no longer have access to sensitive work files. Dropbox's service does offer tools for that, like "Account Transfer," to transfer over an employee's account to someone else, and also remote wipe to delete an account. "I'm confident they won't take this information with them when they leave," Karimi said.